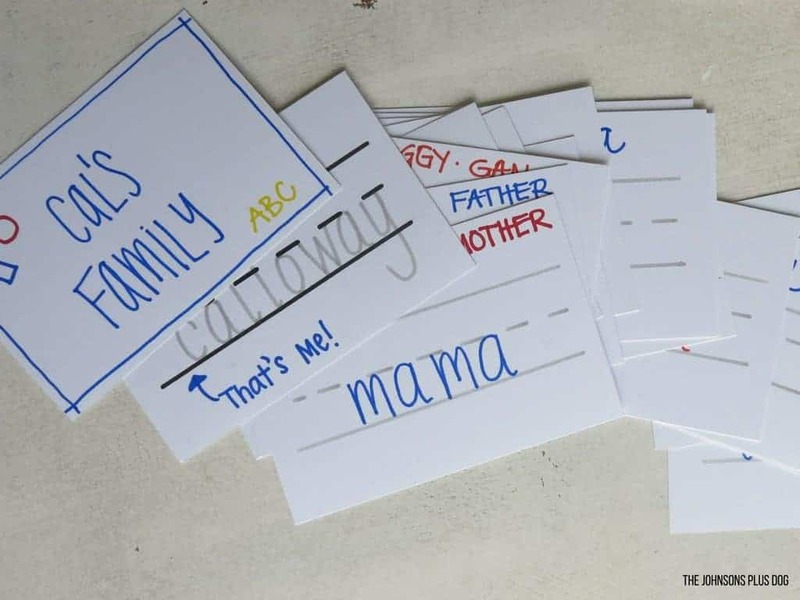 This DIY family picture book for baby is perfect for teaching your little one names and faces of your family. This book will also come in handywhen he is learning how to write. 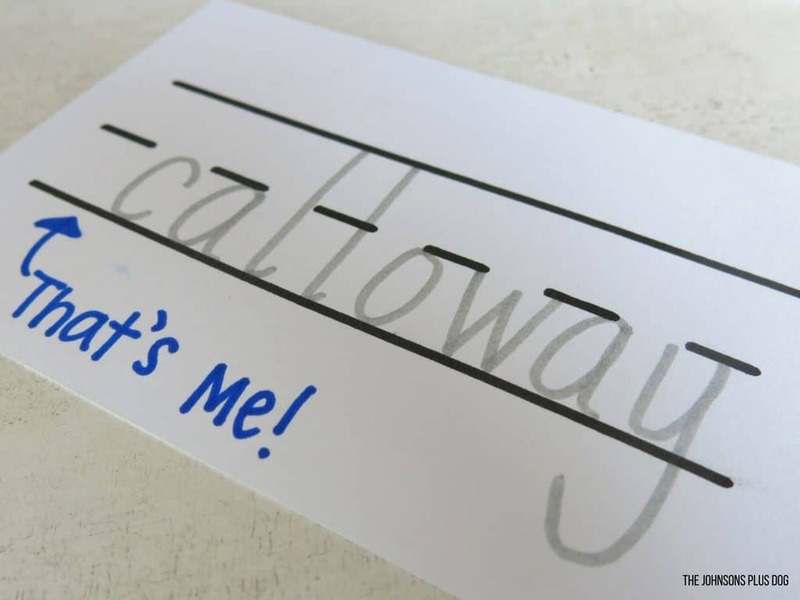 You can use the laminated picture book to practice your hand lettering with a dry erase marker. 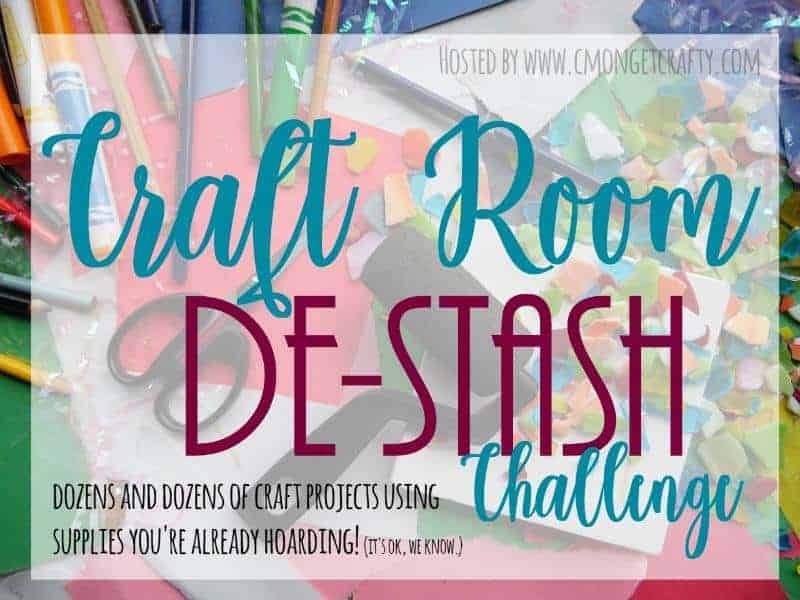 I am definitely excited for another month of the craft room destash, where us ladies get together and make a craft using JUST the supplies we have in our craft rooms. We started this last month and I made a mini album out of a cardboard roll and some scrapbooking supplies. This month I decided to make a family picture book for baby – aka my little guy, Cal. 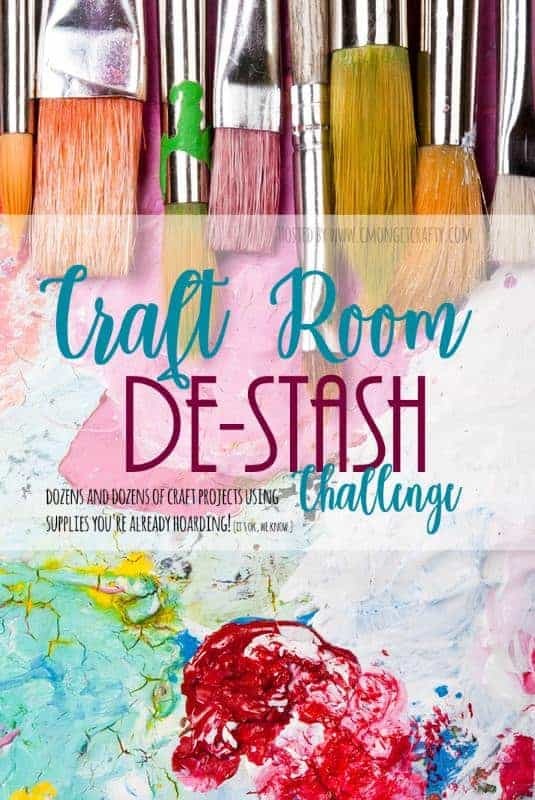 I was trying to figure out what to whip up this month for the craft room destash challenge and I looked through a few of my I-think-I-can-make-something-fun-with-this boxes…ya I know you have those boxes in your craft room too! It’s ok, you’re in good company! That’s what this little monthly challenge is ALL ABOUT. 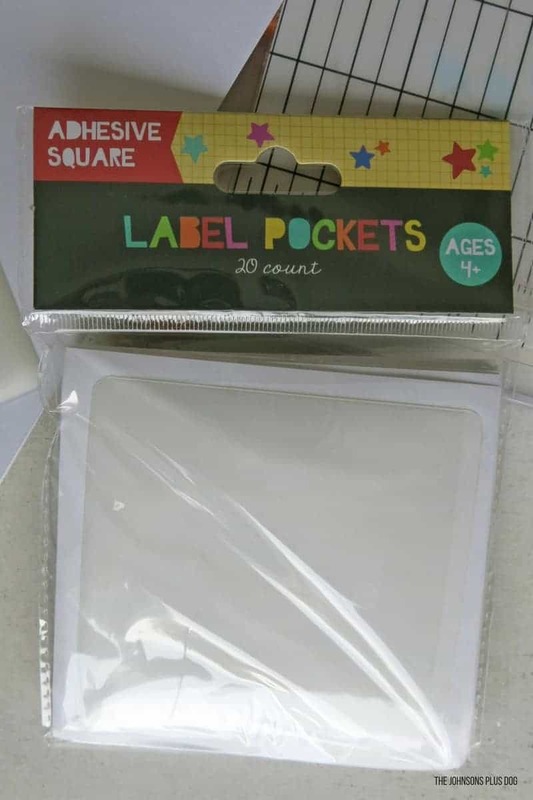 I grabbed these little square adhesive label pockets that I snatched up a few months ago from the Dollar Spot at Target. I purchased them because they looked like they could come in handy for something…. I mean, that why I buy ALL THINGS in the Dollar Spot. 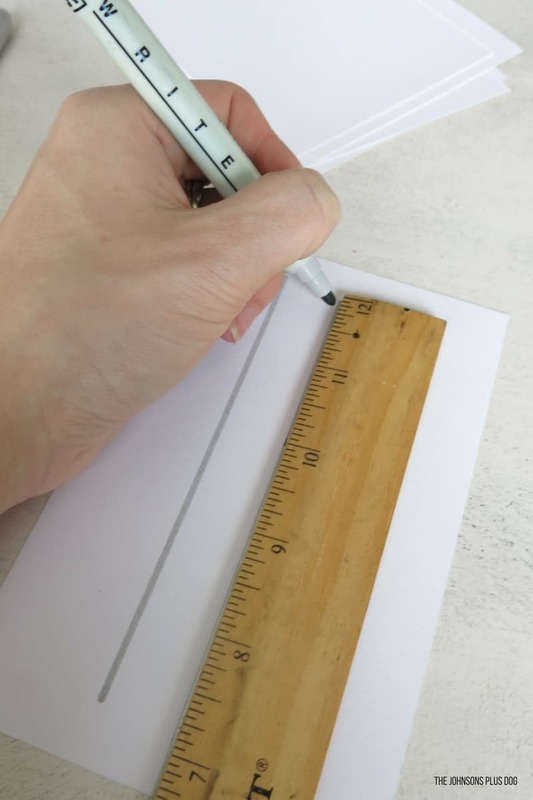 I started by cutting my paper down to size. I made mine about 4×6. Next, I started on the pages. I just used colored sharpies and other markers. Then I added in lines that look children’s handwriting paper. Next I wrote in the names of all of our family members on each page. Next comes my handy laminator. This makes the pages of the family picture book for baby really baby-proof! Next I attached my label pockets for the photos. I got mine in the Dollar Spot at Target, you can grab something similar here. I attached the labels pockets on the backs of each page so that the left side of the spread was the photo and on the right side is the name. 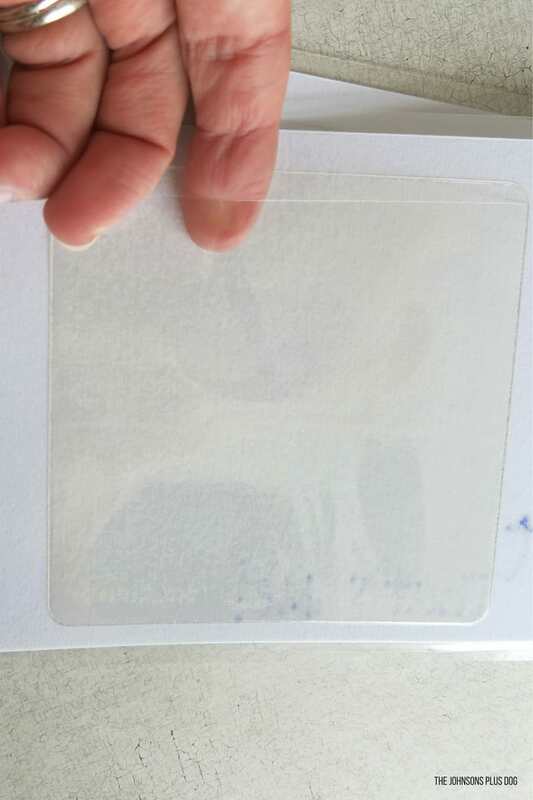 If you can’t find label pockets, you could glue or tape your photos to the paper and then laminate them. I just thought it was cool that we can swap out the photos whenever we want. 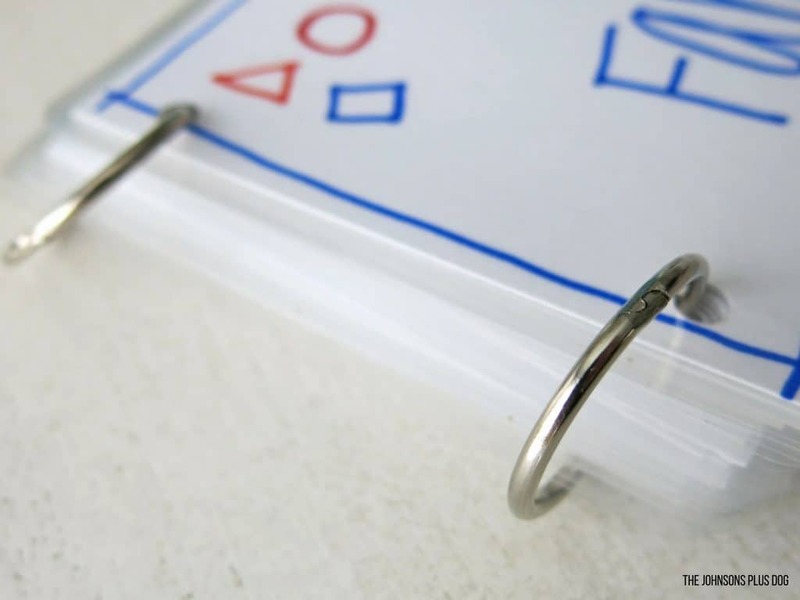 I bound the book with simple rings in some holes I made with a normal hole punch. 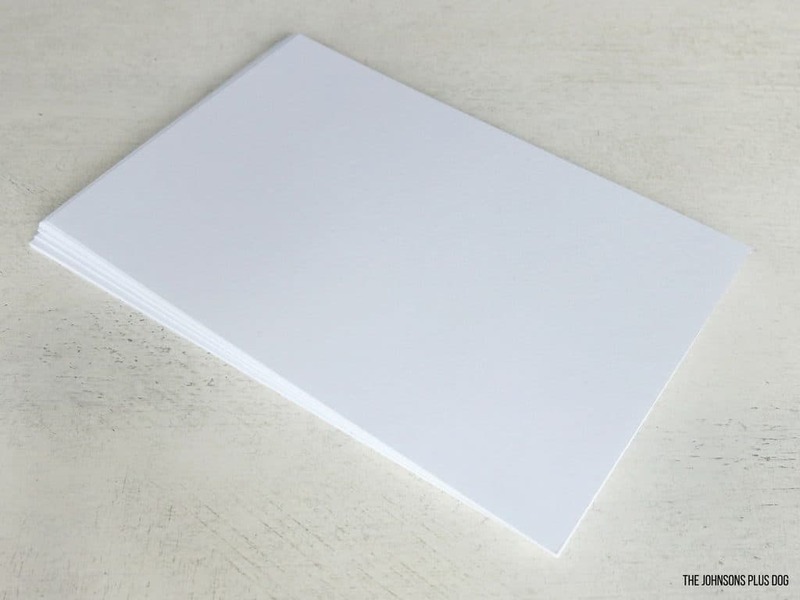 If you didn’t want to hand write everything, you could print out the pages….truth be told, I was planning on that…but my printer was out of ink! Haha. 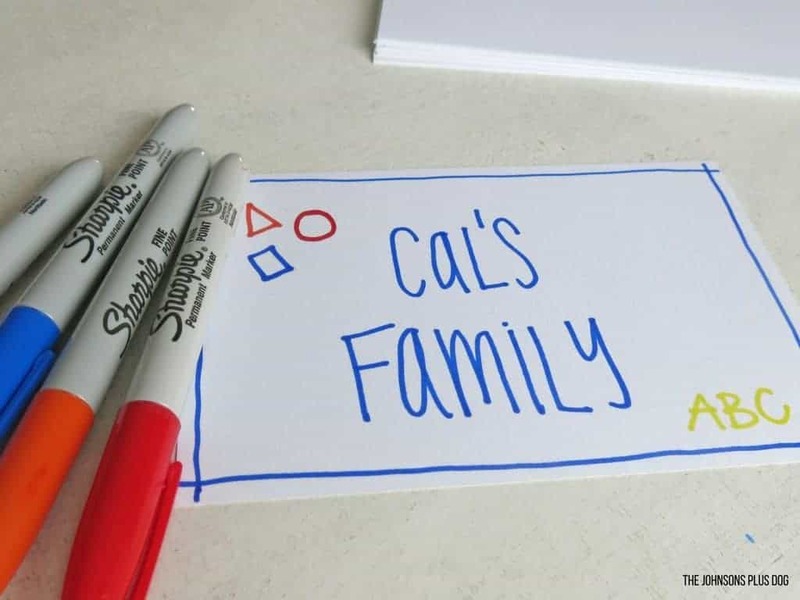 Another super great thing about the laminated pages that you can write on them with a dry erase maker…which means this DIY Family Picture Book for baby can really be used all the way from baby…through toddlerhood and even will be helpful when Cal is learning how to write! 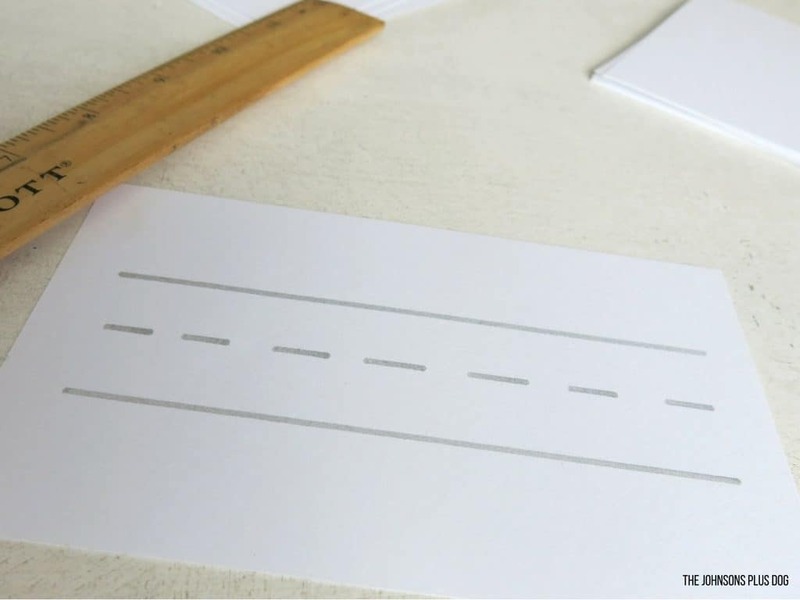 He can trace over the letters. The moment I handed Cal the picture book, he was all smiles. He had a blast turning all the pages all by himself and pointing at the pictures of familiar faces.. 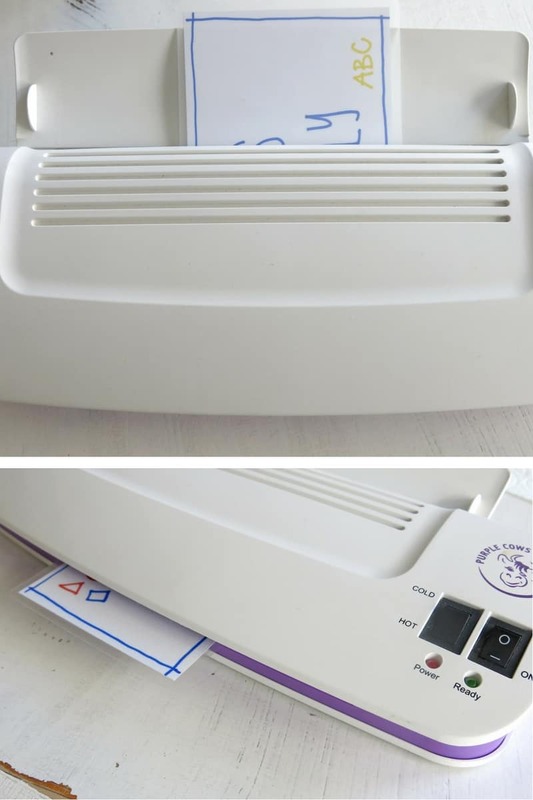 The laminator is a great way to really make any books for your baby! It makes them sturdy and pretty much slobber proof…Cal tested. 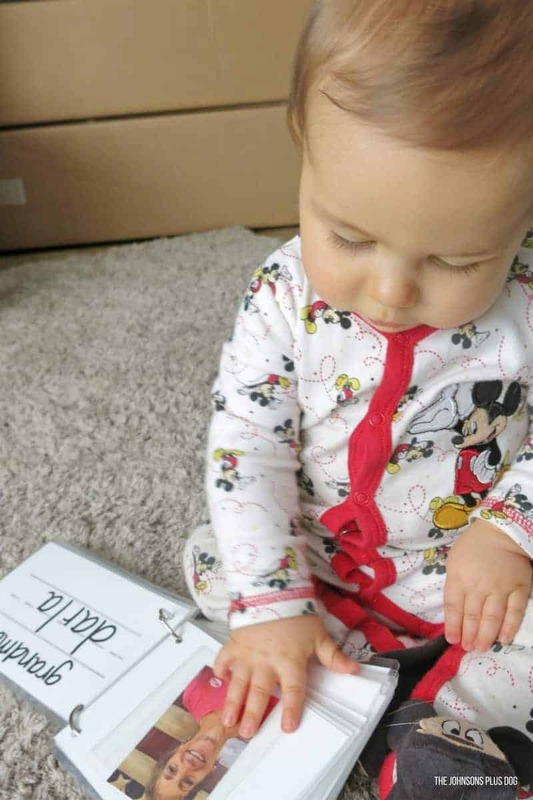 I had so much fun raiding my craft room again this month for a little DIY Family Picture Book for Baby! I can tell that Cal is going to love this one for a while. What a cute idea! 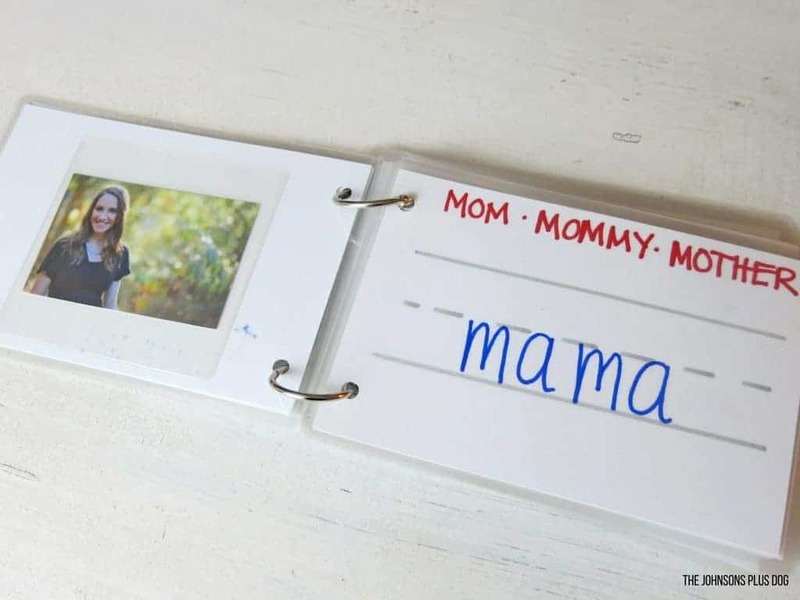 I love how it is personalized with the pictures of family members! Omgosh, I love this idea. 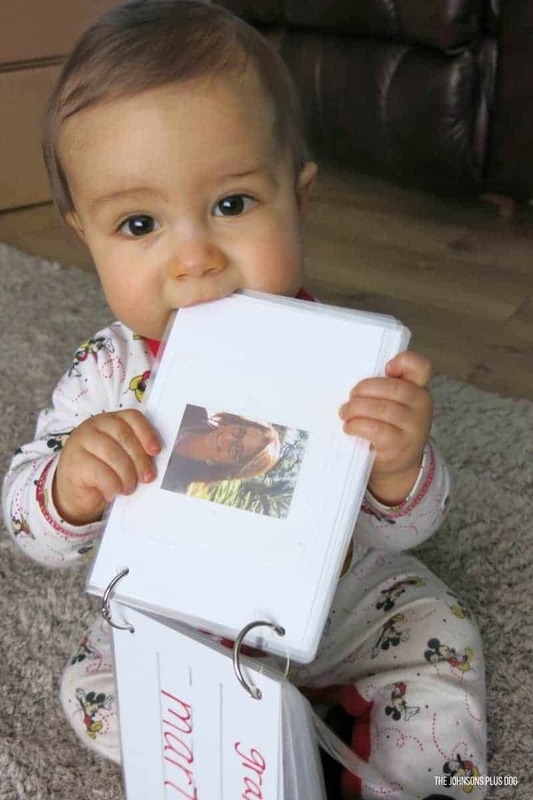 What a fun way to make a baby proof book! My sister is having her first baby and I may have to make one of these for her. How adorable is Cal? What a great use of your extra craft supplies you had on hand. Love it. Such a cute idea! 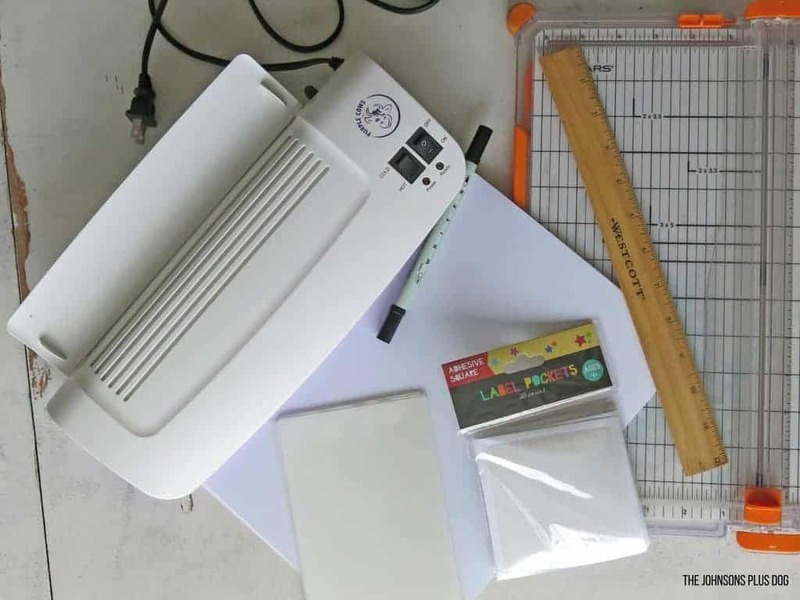 And great use of your laminator. I also find such great items in Target’s Bullseye section. It’s so hard to resist buying more, lol. Thanks Marie! I don’t think I can remember the last time I was at Target and didn’t grab at least one things from the Dollar Spot section! It’s amazing. That’s the most adorable thing I’ve seen today!! Love the delight on his face at all those familiar pictures and such cute wording! Thank you Megan, he just about melted my heart when I saw how excited he was about the book I made him! Your baby is so adorable! 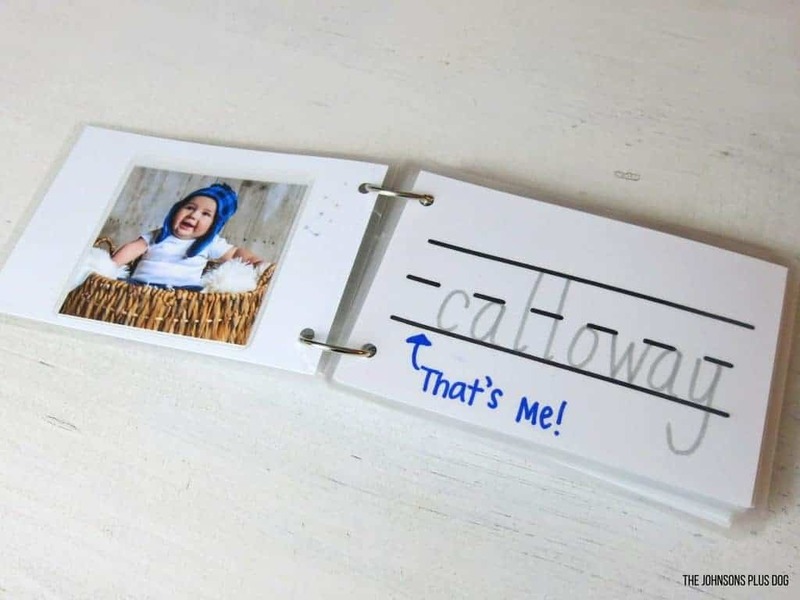 What a cute little book & I would so love a laminator! Thanks Michelle. After testing it out on this book, I know I will be using the laminator on a lot more crafts for Cal! What a brilliant idea!! You have just given me an idea for something to make for my little niece!! Thank you for the tutorial. Thanks Sam! Glad you were inspired! They are so fun to make…but it’s even better when you see the little one’s smile ! What a special keepsake. It will be a treasured item. Thanks Debra. I love watching him light up when he looks at it everyday! Darling idea! 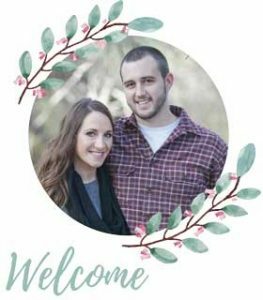 I’m new to your blog.. just found you through Hometalk! Liked the bathroom floating shelves idea, and then saw that you live in Bend, Oregon.. so just HAD to come for a visit. My hubby and I just bought a “70’s fixer upper” in Fall of 2015 here in Madras, Oregon, so we are almost neighbors! Have subscribed to your blog so I can look at all of your home improvements and gardening ideas. Our yard was a total dead mess when we moved in… in fact.. was just dirt and dead weeds! Not one flower or shrub or bush in the entire yard either. Has been a slow process challenge.